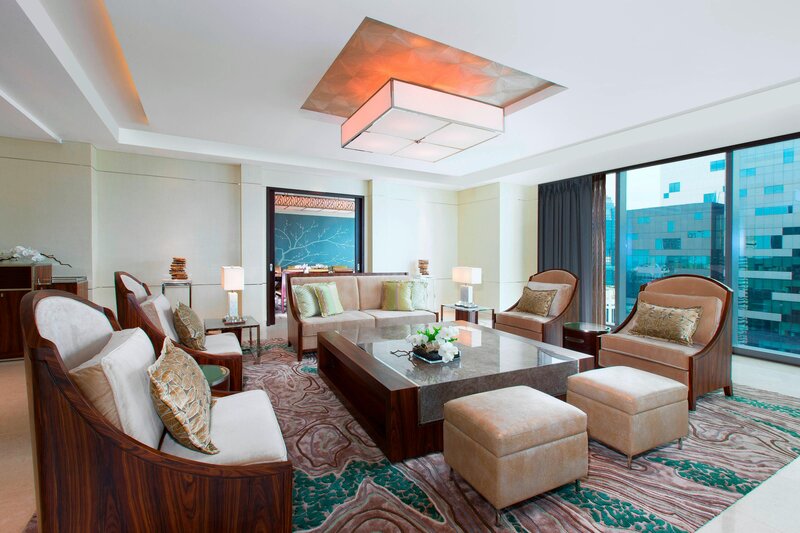 Our 305 guest rooms—including 16 suites —feature floor-to-ceiling windows that showcase sweeping views. 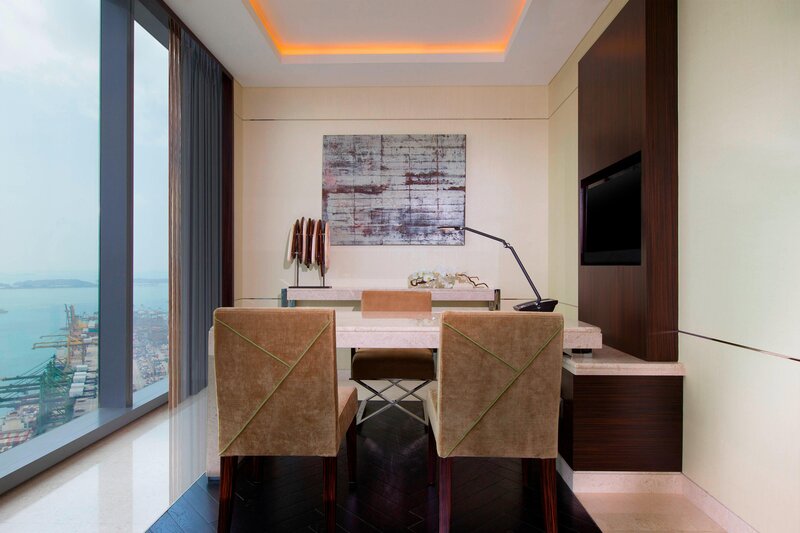 Streamlined furnishings, soft neutral colors, and abundant natural light convey a calm modernity. Intuitive technology such as iPod docking stations and flat screen HDTVs provide endless entertainment, while High Speed Internet Access and multimedia hubs encourage productivity. Experience a restorative night’s sleep in our Heavenly® Bed, and feel pampered in the spa-like marble bathroom with freestanding bathtub and rainforest shower. Fragrant Westin White Tea Heavenly™ Bath Amenities enliven the senses, while bathrobes and cozy slippers make you feel at home. 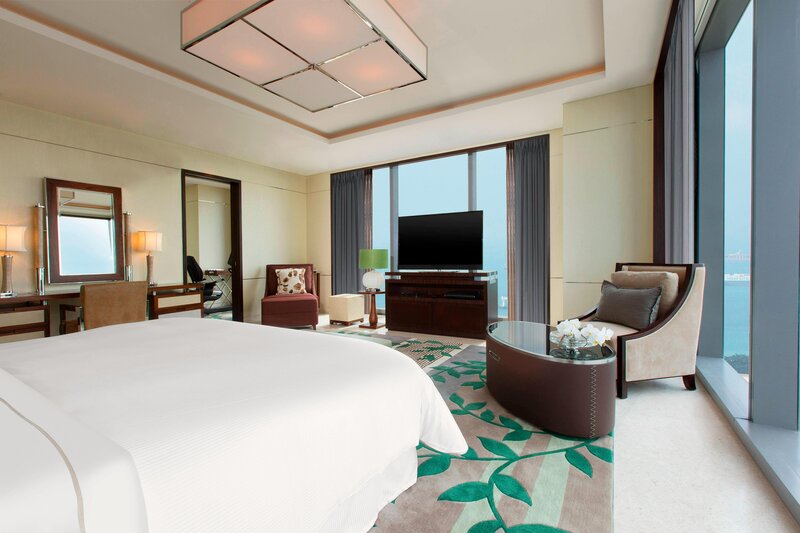 Located on the top floor with stunning views of the harbor and glistening South China Sea, The Westin Singapore&apos;s Presidential Suite boasts an expansive room with plush sofa and armchairs to relax and socialize in style.